FreelanceEngine 1.7.11 Has Arrived, Including Great UX/UI Design And Much More! FreelanceEngine 1.7.11 is released with new changes regarding the payment process and bid acceptance flows. Besides, FrE Credit, FrE Private Message, AE Stripe, AE Stripe Escrow extensions are updated as well. 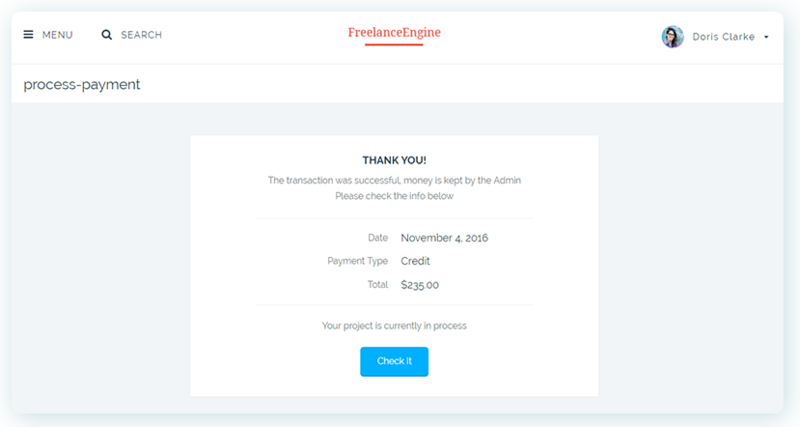 From FreelanceEngine 1.7.11, when users make a new transaction on your site, they will receive an invoice including transaction details. This invoice means the transaction request was sent to admin and is under review. 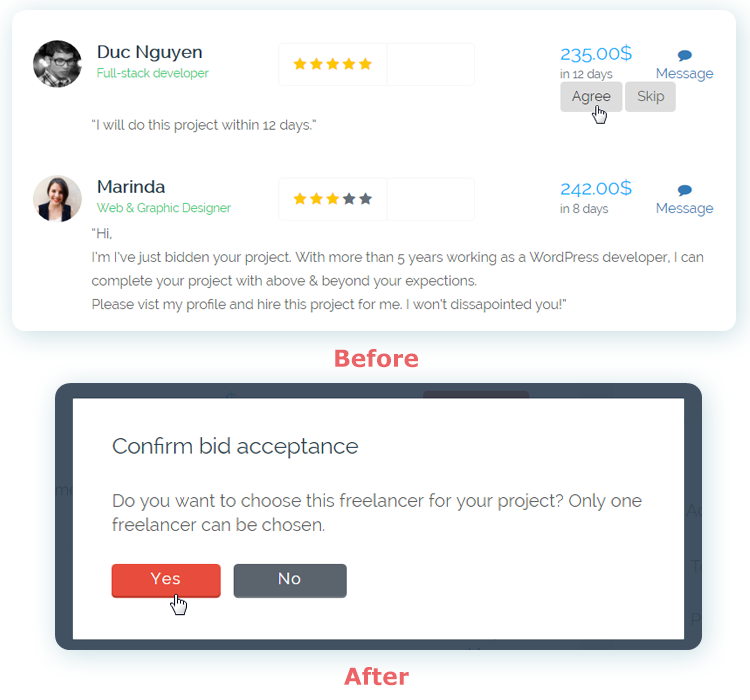 Adjust the appearance of the freelancer bidding list in the project detail page. The design of project detail tabs in both employer and freelancer profiles are changed as well. Employer and freelancer’s public profiles have new appearances. Bid acceptance modals (PayPal & Credit) are re-designed for better display. New process-payment page for the bid acceptance. Re-design the Private Message, Update Stripe Account form and the checkout via AE Stripe modal. From now on, the free package can only be purchased once per employer. [FrE Credit] Notification is added when the filtering process shows no search results. [FrE Credit] Notification is now sent to admin once employer re-submits his project. When “Free to submit listing” option is enabled, admin will receive a notifying email whenever there’s a new post on site. “Featured project” is no longer available. The Feature Project tab in Homepage is hidden as well. Fix some minor bugs in private message. No longer double the deposited amount on the credit balance. “Purchase to bid” button in the user’s profile is hidden if you disable the “Pay to Bid” option (Engine Settings → Settings → Freelancer). Also, the pricing plan is also hidden if you enable the “Free to submit listing” option (Engine Settings → Settings → Payment). Fix some bugs of reCAPTCHA. Better translation support for email. *NOTE: Along with FreelanceEngine 1.7.11, AE Stripe 1.3.2, AE Stripe Escrow 1.2.1, FrE Private Message 1.1.7 and FrE Credit 1.1.6 extensions are also updated to the latest version. Above are all new changes and bug fixes in FreelanceEngine 1.7.11. If you have any questions, please contact support@enginethemes.com. Thank you. You should also show right in this windows the steps to update. Yes I know there is the help and what have you but it would be a great convenient for new custmers. 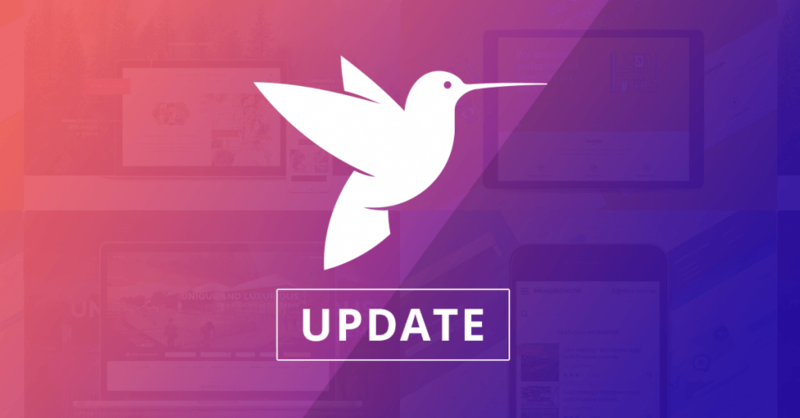 This blog post is the updated news announcing you new changes, feature improvements, and other bug fixes. Regarding your concerning, updating the theme is a repeated work and there are many steps, so we cannot show it on every blog post. However, we will consider your suggestion and insert the link guiding new customers to update the theme into our updated news. These are important changes. I am so so happy with this theme. You guys decided not to work with thousands of plugins on the market (instead, it comes with everything) and this is a gigantic plus . So far I have found no bugs. What it promises to deliver, it delivers it. And it does it well and easy! b) Milestone is a great enhancement. It helps the parties move on progressively with clear agreements. No regrets. It only needs to have middle payments. The Stripe platform can do this, I believe. That would give the full power of milestones. c) And last, but not the least at all, escrows should be a choice. Now, no escrow, no payment inside the site. There are legal issues (in many countries) with the site as it is. For sure in the US. ii) at the end of each milestone/project. 1) everyone can get paid through the site. Good afternoon from Saigon, Gla Oak! Thank you for sending such kind and enthusiastic comments, I certainly appreciate hearing them. Your positive feedback allows me to know our efforts are appreciated and you’re enjoying our theme. Regarding all your suggestions, all have been forwarded to our Product Team to consider. We also do have some other exciting features on our plate, and should anything change about your request, we’ll make sure you are the first to know. Thanks for the wonderful updates! let me just add this idea if you might consider it in the future, allowing payments for each milestone..
We really appreciate it. This is something we can add to our list of feature requests. This way it can be taken into consideration for future development. All of these items are discussed with our team internally and prioritized based on the amount of interest a particular feature might receive. 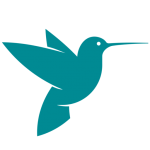 Can you provide any update as to when FreelanceEngine will have the ability for the Employer to select multiple Freelancers to work on a single job? This would be a tremendous enhancement!!!! Thanks a lot for reaching out. We, actually, have a plan to implement an extension that allows multiple Freelancers to work on a project. However, we have been occupied in a ton of tasks to improve FreelanceEngine and unfortunately, we have no specific plan to code that extension right now. Please keep following our blog the get the latest news.